‘You see yourself in others as through a broken glass,’ said Rat, alert to his puzzlement. Gart struggled to his feet, limbs stiff from what seemed endless hours on damp rock. 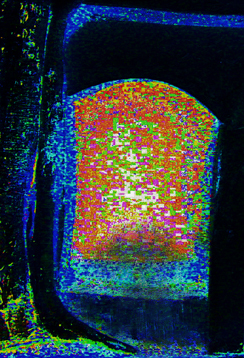 He recalled Oruba talking of a junction with a slab in the middle – and a password. ‘Not so fast!’ he shouted. Stumbling, he fell flat on his face. The glower shot from his hand and rolled yards ahead, a little spot of light before the blackness of the tunnel beyond. He touched his nose, wet – blood. There was no pain, only numbness. ‘Didn’t you memorise the code?’ Rat sounded alarmed. ‘Saw who?’ Gart said, wide-eyed, looking for his hand, surprised it was still attached to his arm. ‘Say it, now. It’s the code for opening the gateway. Say it loud.’ Gart straightened the note. Letters jiggled, foiling his comprehension. ‘Must do, must do. 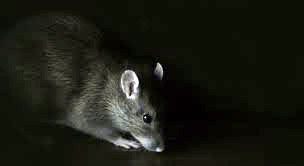 Get on with it!’ Rat chased its own tail in frustration. Gart pressed the password through his lips – Batin. A grating noise emitted from the slab as it slid apart. It seemed impossible that this face terrified him earlier. The cruel dark eyes had changed into maudlin pools of tears. The sight disgusted Gart. Every fibre of his body twitched with a desire to drown the pitiful apparition. ‘I must leave you here, friend. Be careful now,’ said Rat. I won’t give away the story, especially since the first book in the series still awaits the light of day. But I welcome feedback. Recent comments were precious gifts, thank you. All helps in the polishing. I’m in the process of editing ‘Shapers,’ the sequel to ‘Course of Mirrors,’ my first novel, awaiting release this year. By no means the final edit-round of Shapers, any feedback to this sequence from chapter eight is appreciated. Gart was called Rufus in Course of Mirrors. He re-appears in a future society. This is the beginning of a kind of night-sea-journey, where Gart is tested for a role he may or may not fulfil. Having shut down his craft, Gart looked up to the late light falling into the cave. He felt dwarfed by its lofty height. A sliver of pale moon shone through a crescent-shaped opening in the roof. A glimmer in the rock before him caught his attention. Stepping close, he distinguished the carving of a spiralling maze. Intrigued, he tried to determine its flowing pattern towards the centre, but soon felt dizzy. His head was not right. Odd – it had not occurred to him to ask Oruba why he was sent on this underground journey. Rats, he thought, rats had consumed his mind when the tunnel was mentioned. Here was his chance to meet real rats. He had never questioned why Leo kept providing him with banned books on these creatures, instilling this obsession. Governors were not known to forge relationships of interest, or confer weighty authority onto their staff. Gart smiled to himself. Leo lacked influence, not just politically. He relied on him to exercise command over the Guardian army. The entry to the tunnel was narrow but gradually opened out. He chose his steps with care. Not trusting the rough ground, he switched the glower’s setting from its sharp beam to diffused light. Deadly still and cool air enveloped him. Every now and then a section of steps lowered the path. There were bends where the tunnel narrowed only to expand again. After an endless straight stretch, a cairn rose like an apparition, its stones stacked up higher than his head, with a rock sticking out like a crooked finger pointing to the right. He strained his ears to identify a sound underlying the silence, a faint drone. And there was another sound, whisperings, behind his back. A shiver in his neck made him turn to cast the light of the glower along the walls – nothing. He loathed the dark. Was this really his choice, or had the black man lured him into this tunnel? Willing himself forward, he counted several cairns that looked alike until his map showed he had reached a halfway point. Dragging on, his linen sack with provisions got snagged by a jutting rock – food – the thought made his stomach growl. He placed the glower on the ground, rested his back against the rock, and pulled a tin from the sack. It contained biscuits. Chewing relaxed him, and his taste buds declared: moreish. The water in the flask was fresh, with a hint of lemon. An acute sense of pleasure spread throughout his body. Every single cell was drunk with joy. The sensation astounded him. He took his time over another biscuit, letting the crumbs melt slowly on his tongue, closing his eyes to savour each morsel. A bird – it could not be, not here – yet it was. A bird sang sweet notes in the branches of a blossoming tree under which he sat and played with stones and shells. A round-faced woman appeared, with a warm smile, tousling his hair. She handed him … Gart’s eyes snapped open. Disorientated, he stared at the opposite wall. The rock glimmered as if alive with tiny creatures, shifting and heaving. Shapes emerged – a nose, a mouth, a beard – the features of a frightful man with a savage scowl. Gart flinched as piercing eyes fixed on him. He heard a voice pleading – his own – please don’t leave me here, don’t leave me in the dark, I’ll be good, please. He curled up and sobbed. He was alone, utterly alone, facing a black abyss. The only control left was to play dead. He grasped a truth. Oruba had laced the biscuits to animate his dull senses. His new friend liked the crumbs too, and demanded more. He never had a friend before. ‘I’ll call you friend.’ It was the best he could come up with, and it sounded sweet to his ears. In response, the rat seemed to grow in beauty and size. Such intelligent eyes, making him feel special. ‘You understand, don’t you? I’m offering you alliance. That’s a precious deal, for me anyway.’ Rat nodded. He was sure of it. ‘Tell me about the man buried in the walls here, who smells of death.’ A shot in the dark, but a pressing question on Gart’s mind. This, Gart reasoned, was no rat talk. Whose voice was talking to him? The image returned, of a garden, bird song in blossoming branches, a woman tousling his hair and handing him … it struck Gart that the Shapers knew more about him than he did.